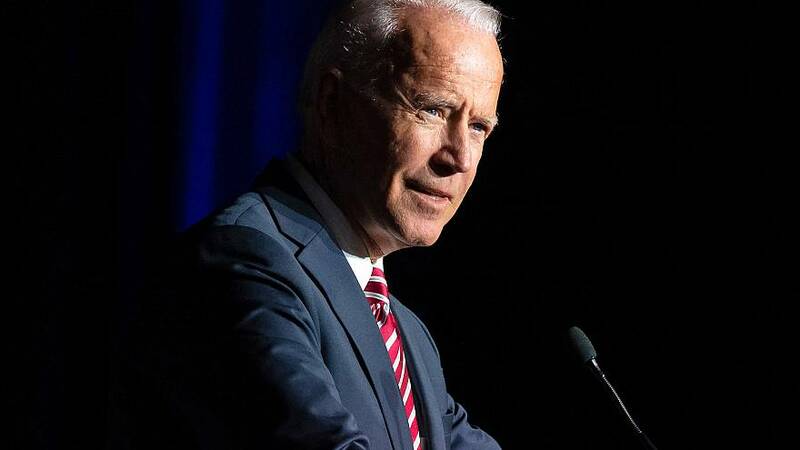 WASHINGTON — Joe Biden promised to be more respectful of individuals' "personal space" Wednesday, even as he signaled that a politically-charged controversy over his hands-on brand of campaigning won't deter him from a White House run. In a two-minute video posted to Twitter, the former Vice President acknowledged that "social norms are changing," and that what he viewed as "gestures of support and encouragement that I've made to women and some men" have sometimes made them uncomfortable. "I get it I get it. I hear what they're saying. I understand it. And I will be much more mindful. That's my responsibility," he said. Biden had been expected to launch his White House bid in the coming weeks. But meetings with his political inner circle this week that were intended to finalize a campaign plan have instead become consumed by responding to the debate over unwanted physical contact first raised last week by Lucy Flores, a former Nevada lieutenant governor candidate. In his video, Biden begins by saying he expects "to be talking to you about a whole lot of issues," and that he'll always do so directly. But in what appeared to be a loosely-scripted monologue Biden alternately explained his conduct, defended his character and tried to square his famously-personal style with the #MeToo era. He also alluded to the personal losses he's experienced in the public eye and the work he's done to promote women and address sexual assault, saying it was unthinkable he couldn't adapt. "I've found that scores, if not hundreds of people have come up to me and reached out for solace and comfort, something, anything that may help them get through the tragedy their going through. And so it's just who I am. And I never thought of politics as cold and antiseptic. I've always thought it about connecting with people," he said. "Social norms began to change — they've shifted, and the boundaries of protecting personal space have been reset — and I get it. I get it. I hear what they're saying. I understand it. And I'll be much more mindful."